Loved this article from blog.wantable.com and just had to share! In a time when it seems impossible to escape the obsession that is binging Netflix’s latest hit ‘Tidying Up With Marie Kondo’, you may be feeling inspired to completely KonMari your home. We’d love our very own personal organization consultant to magically show up on our doorstep, but alas, we’re faced with tackling this project on our own. Luckily, we’ve gathered a few tips and tricks to help you tackle organization in your own house or apartment. The question is: how do you know when it’s time for a closet cleanse? 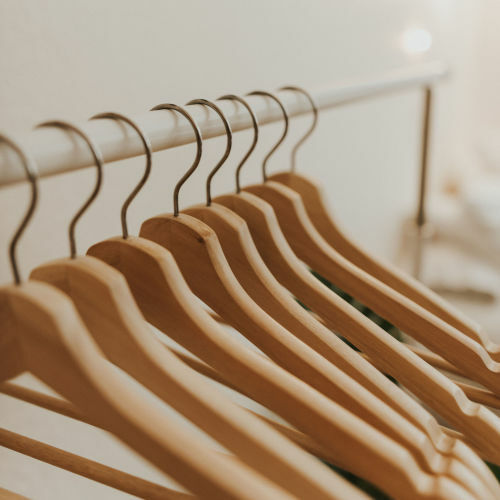 If you’re having trouble finding a certain item or your wardrobe is full of pieces you no longer wear, it may be a sign that you have a cluttered closet and it’s time for a purge. We’ve created an easy step-by-step process for decluttering your closet and creating a wardrobe foundation that will survive any closet cleanout. First things first. 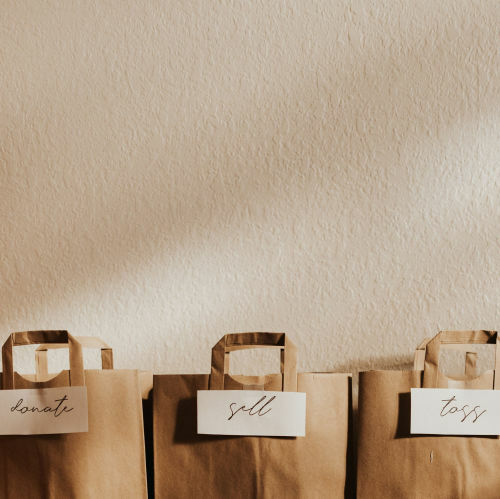 Grab three different bags, boxes, or totes and label them with ‘donate’, ‘sell’, and ‘toss’. It’s time to decide which category each piece belongs to. If the item is worth more than the effort it would take sell it, go for it. 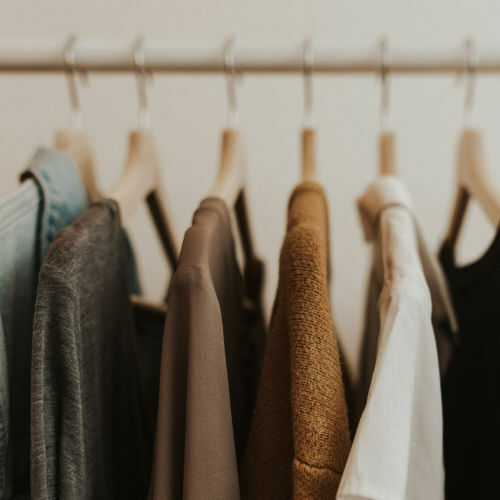 If you’re not tech-savvy and don’t want to go through the hassle of selling online, see if your friends or coworkers are interested in a clothing swap. Not feeling like going through the steps to sell at all? Donate. As long as the item is in working condition and is decent quality, it’s a contender for the donation bag. If it doesn’t meet the sell or donate standards, it’s time to toss it. Starting the sorting process may seem overwhelming at first, but don’t let the stress of deciding to sell, donate, or toss prevent you from finishing the task. Simply gather what you no longer need and let it go. If you experience a ping of sadness when you’re putting your college tees into the donate bag, you’re not alone. While some view clothes as just things, the truth is that they’re linked to a moment in time and often have stories attached to them. It’s natural to feel a bit nostalgic, and it’s okay to set a few pieces aside to keep. Minimizing your wardrobe doesn’t mean you have to get rid of everything that brings you happiness. Even if you haven’t worn something in a few years, if it puts a smile on your face, it’s worth holding on to. Set these pieces aside in a box and reach for it any time you need a walk down memory lane. Whew! The hard part is officially over. Now it’s time to sort your clothing seasonally. Before you get started, keep in mind that there should be a few staple pieces that have a spot in your closet year-round. The best part about organizing seasonally is that it’s an opportunity to assess anything you might have missed during the decluttering. It’s also the perfect time to do any dry-cleaning and tidy your space by vacuuming and dusting. If sturdy hangers aren’t something you’ve already invested in, now’s the time. Swap out your wire hangers for slim and durable hangers to create more space in your closet. Once you’re finished, decide which pieces you won’t be wearing for the next few months and store them in a clear container for an easy swap in the future. Now that you have a clean slate, it’s time to figure out what’s missing. During the decluttering process, you probably got rid of pieces that no longer fit or are worn out and need replacing. Knowing your personal style is beneficial in helping you realize what you’ll need to purchase. A great rule of thumb is starting with the pieces make you look and feel your best during your day-to-day routine. If you’re still not sure where to start, our lovely Stylists are here to help! 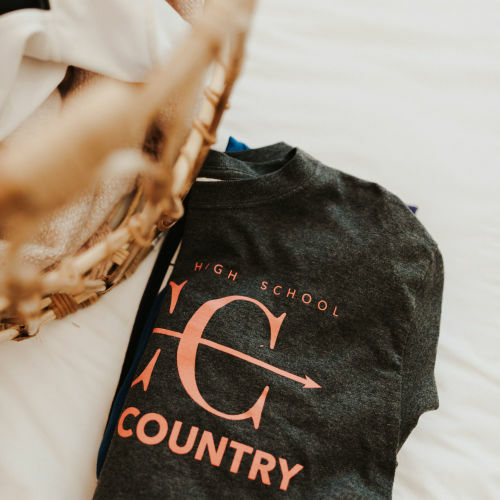 Plus, they’ve rounded up a list of the style essentials every woman needs in her wardrobe (thank you, next). While each wardrobe will vary from person to person, there a few essentials that should be in every lady’s closet. The fail-proof, time-defying pieces that solve your what-to-wear woes on those nothing-to-wear days. Versatility is key when creating the foundation for your wardrobe. With these staples, you’ll be able to create an endless amount of outfits for a wide variety of occasions. premium denim: Get yourself a perfectly fitting pair of jeans in a dark wash. A dark wash is easy to keep clean and will pair with just about everything. While you may need to invest more to get the perfect pair, they’ll last for years to come, making them worth every penny. a plain white tee and/or button down: We’d argue that no closet is complete without a plain white tee or button down. They are must-have pieces no matter your individual style and will always be an easy fallback piece if you’re not sure what to put on for the day. a little black dress: The LBD is truly a blank slate when it comes to styling. You can add accessories or shoes to give it some flair, or you can wear it on its own and it will still be a standout piece. a sharp blazer: A blazer (patterned or solid) has become a closet chameleon. A blazer is perfect for the office and looks equally amazing with jeans and a timeless tee. black trousers: If you’re starting to sense a theme here, you’re 100% right. A black trouser is undeniably versatile. No matter the silhouette you choose, you’ll be able to wear these throughout the workweek or to your next weekend brunch.